Now here's a new to me series that sounds good. The character of Inspector Pibble is the kind of fellow I often like in Brit. police procedurals. I may need to follow up on this one. Thanks for the review. So intriguing, John. 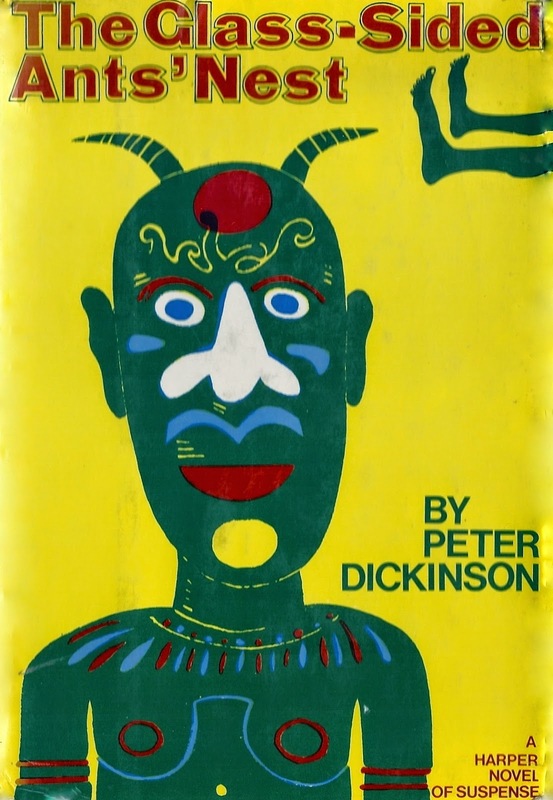 I've heard the name of Peter Dickinson here and there, but never read any of his work. I checked my local library list and found a couple - so they're on hold even as we speak. I won't tell you all the titles because you might tell me that they're not as good as the one you've reviewed (which was not on the list). Only one is a Pibble novel THE OLD ENGLISH PEEP SHOW. I see that Dickinson has also written several young adult novels with fantasy themes. Thanks for the intro, kiddo. If one of those library books is THE POISON ORACLE then you found one of the best among the non-Pibble books. Also, if he turns out to be to your liking I can send you a boxful of his books. I have about eight and three of them are Pibble books. 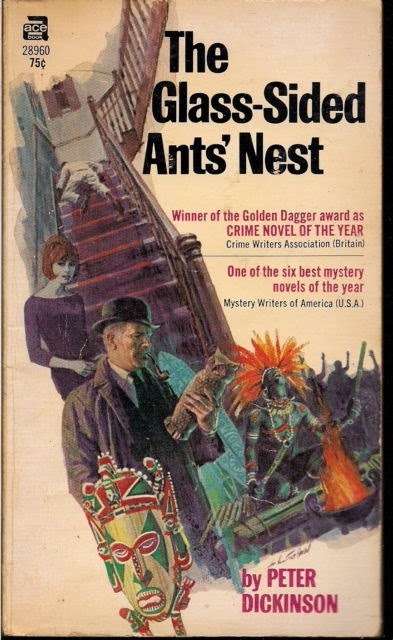 I know I have an old paperback copy of GLASS-SIDED ANTS' NEST somewehre, but darned if I can find it. That's why I had to resort to the library. If it turns up I'll send it off to you. Dickinson is primarily known as a children's writer to this day. He has written more for children than adults. His fertile imagination, love of history, and fondness for unique plots often tinged wtih fantastical elements are found in both types of his writing. Okeydokey, John. Let me see if Mr. Dickinson is to my liking. :) No, unfortunately, THE POISON ORACLE is not on my library's list. I double-checked and found THE POISON ORACLE, John. It's on hold. Chimpanzees? 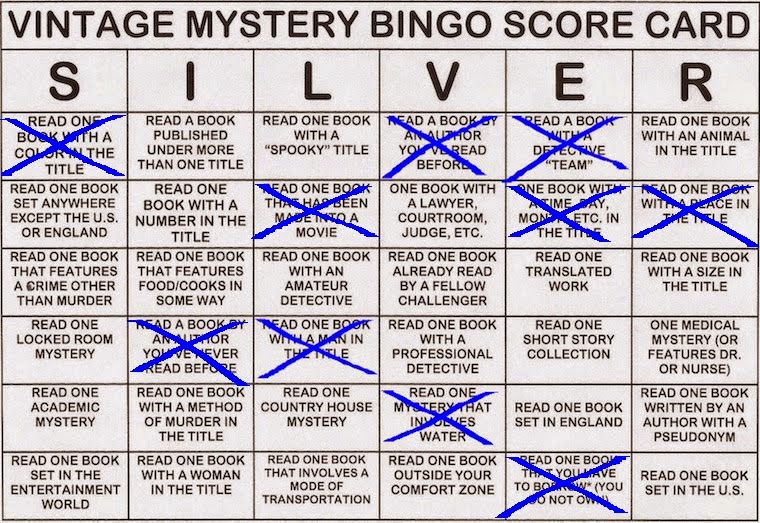 Among the non Pibble books, I remember being impressed by "Hindsight", which has fewer bizarre aspects, but has some very delicately written parts to it - an adult crime writer explores his memories of a murder in his childhood. "King and Joker" was at any rate very entertaining: Dickinson sets up an alternative history, just so he can have a murder at Buckingham Palace, with the detective a teenage princess (despite that it's an adult novel not a juvenile). I read all of the Pibble novels way back when...I may have to start over again. I read this a few years back and quite enjoyed it. I was lured by the cover art (the second image in your post), and read the beginning on the bus home from the bookstore. I didn't stop until I was done. I can't think of any mystery quite like it. Who wouldn't want to buy a copy of that book based on the cover alone and dip right into it? As I grow older I find myself in awe of Dickinson's imagination.